The James Fletcher Monument stands in Lower Reserve, Newcastle. The statue was erected in 1897 through funds raised by public subscription. 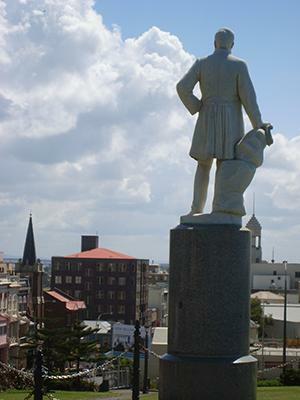 It was created by the Italian sculptor Carlo Nicoli, who also made the statue of Garibaldi in the Piazza del Teatro, Carrara, Italy. Mr. G. P. Locke a local monumental stonemason made the plinth and base. The monument is made of Carrara marble, the pedestal is Cruachan granite, and the base is Melbourne bluestone. 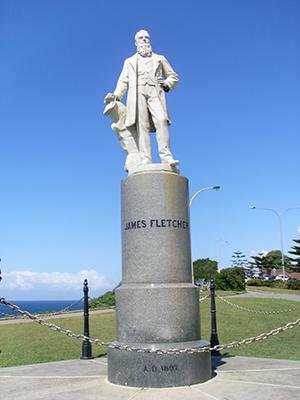 The statue stands just over 5 metres in height, and represents James Fletcher ready to address a meeting. 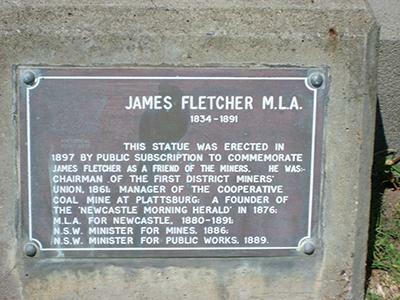 James Fletcher was considered the miners' advocate; he was the first Chairman of the Miners' Union which formed in 1861; a Proprietor of the Newcastle Herald, often writing under the pen-name 'Argus'; the first Mayor of Wallsend in 1874; Member for Newcastle from 1880 until his death in 1891; Minister for Mines in 1886 and Minister for Public Works in 1889. Photo taken by M. Sherwin in 2009. 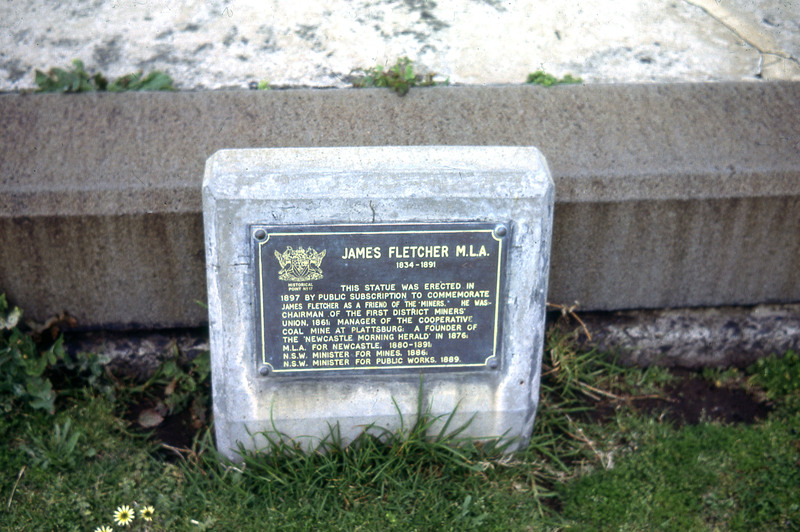 "Fletcher Memorial. Unveiling the Statue." Newcastle Morning Herald and Miners' Advocate, 12 April 1897:5-6. "Carlo Nicoli, the Founder of the Nicoli Workshops." Text and Photographs © M. Sherwin, 2013. Click each photo to see the full sized original.